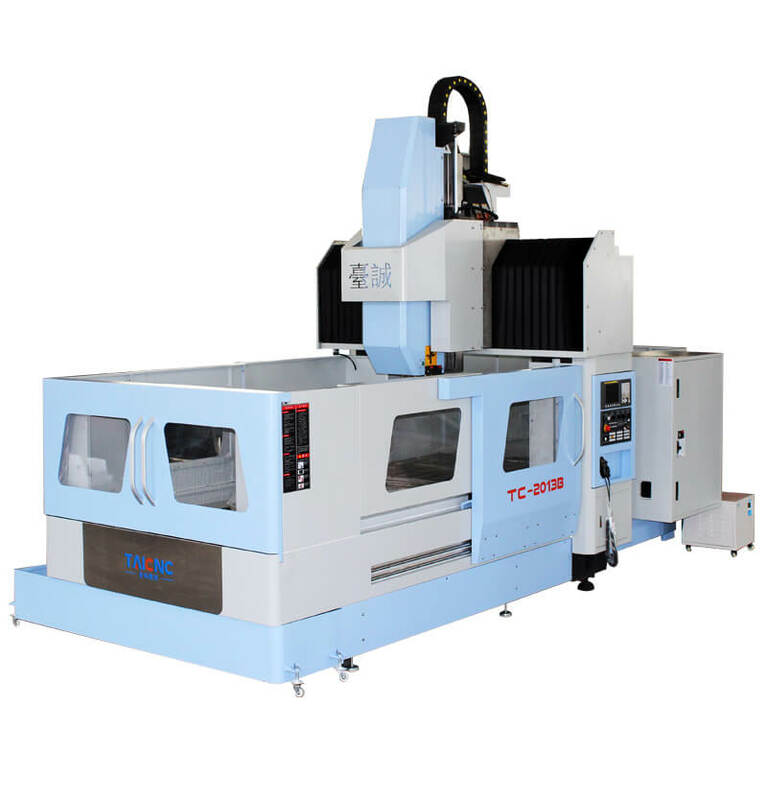 >China CNC Machine Tool Development Guide. 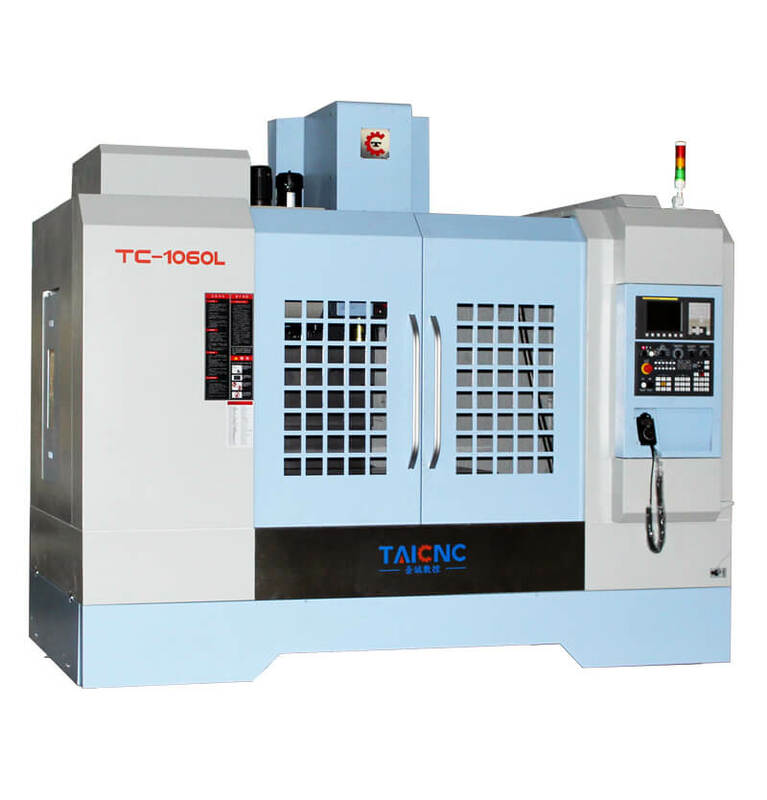 As the “mother of industry”, CNC machine tool are of great importance and significance to improve the level of equipment manufacturing and even the whole manufacturing industry in a country. In the context of global industrial restructuring and technological changes, intelligent manufacturing represented by Germany’s “Industry 4.0” brings new vitality to the global manufacturing revolution, while high-end machine tools are the key link for intelligent manufacturing. 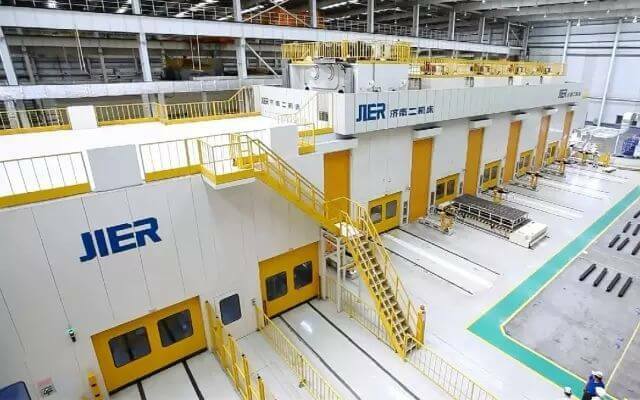 China’s downstream industry of machine tools, such as automobiles, electronics, aviation, high-speed rail, special equipment, general equipment, and other important equipment manufacturing industries, continues to strengthen its competitiveness, forcing China’s independent machine tool upgrades. 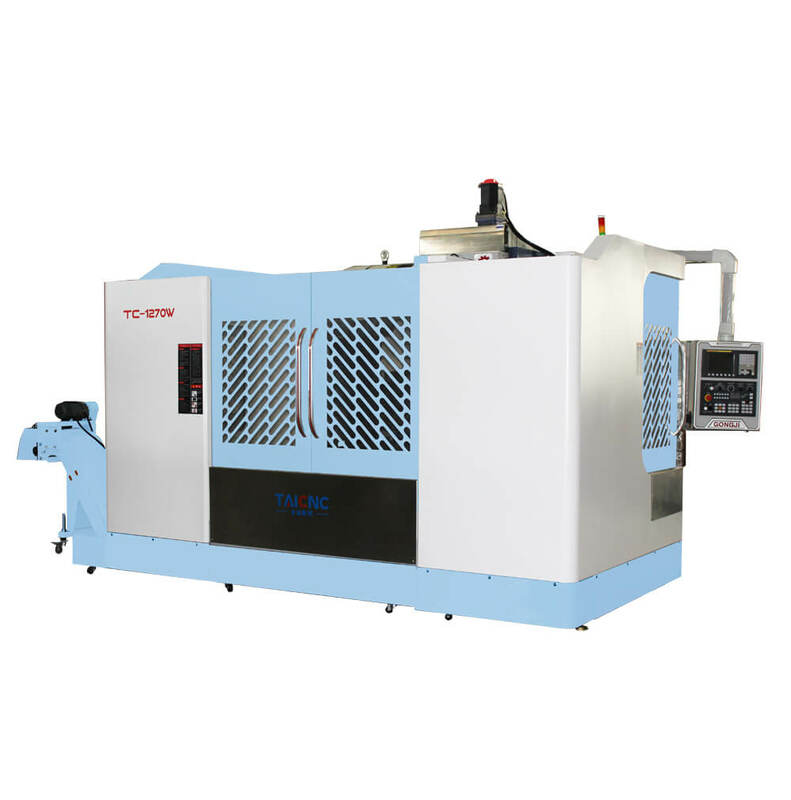 The development of machine tool industry is deeply affected by the development of downstream industries represented by automobile, electronics, aviation and so on. among them, the automobile industry and the electronic industry have the greatest impact, accounting for more than 40% and 15% respectively. 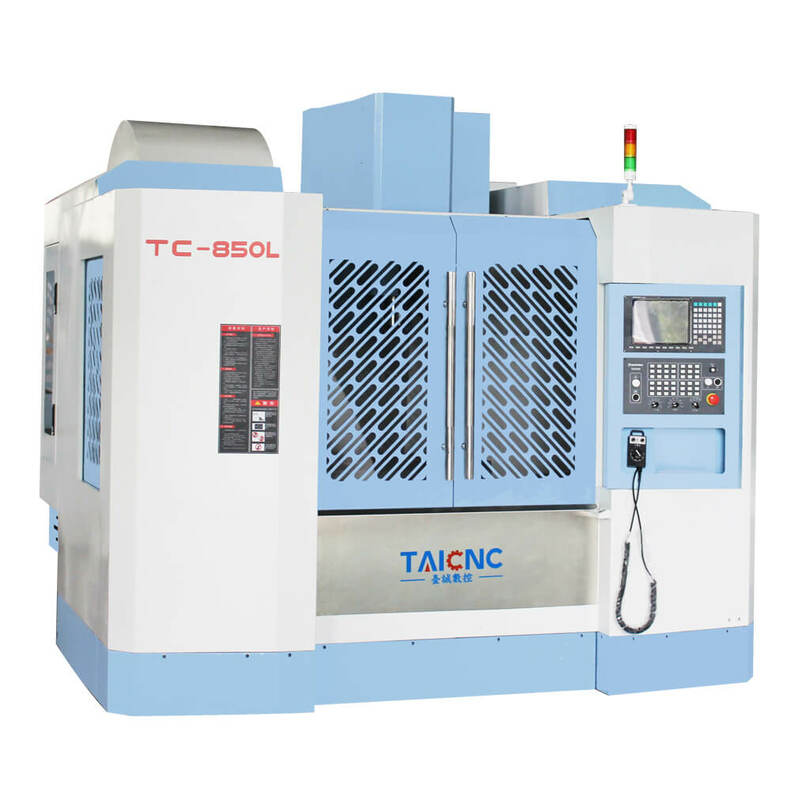 Based on this, the development of the machine tool industry in 2019 and 2020 is forecasted, and the downward pressure on growth in the next two years is expected to be greater than in 2018. 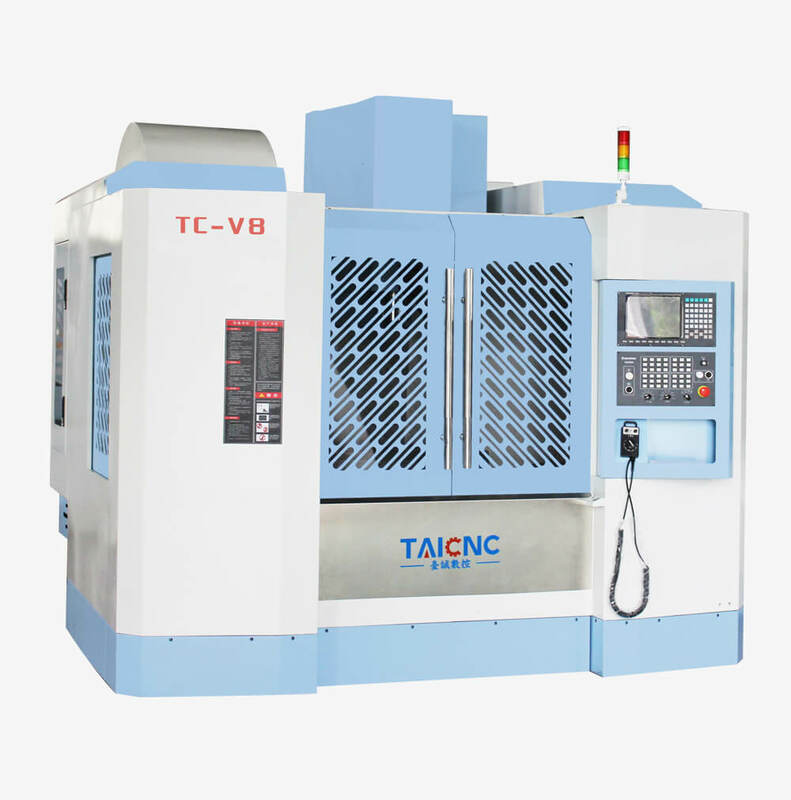 The industrial added value of the machine tool industry increased by about 8% over the same period last year, the completion of fixed asset investment increased by less than 7%, the main business income of industrial enterprises increased by less than 7% from the same period last year, and the profits of industrial enterprises increased by less than 6%, as follows. 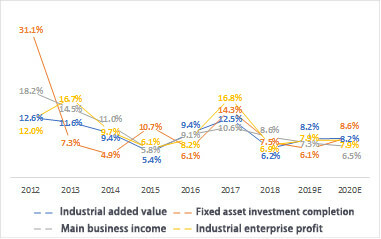 General equipment industry, 2019, 2020, The value added of industry is expected to increase by 7.30 percent and 7.80 percent over the same period last year, the completion of fixed asset investment is expected to increase by 2.80 percent and 0.50 percent, and the main business income of industrial enterprises is expected to increase by 5.20 percent and 5.00 percent over the same period last year. Industrial profits are expected to rise 5.30% and 5.90% year-on-year. 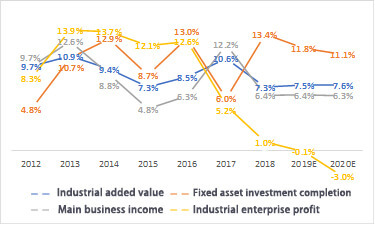 In the special equipment industry, in 2019 and 2020, the industrial added value is expected to increase by 11.40 percent and 12.40 percent over the same period last year, and the completion of fixed asset investment is expected to increase by 8.90 percent and 8.30 percent over the same period last year. The main business income of industrial enterprises is expected to increase by 9.20% and 9.60% compared with the same period last year, and the profits of industrial enterprises are expected to increase by 23.10% and 27.70% compared with the same period last year. In the automobile industry, the industrial added value in 2019 and 2020 is expected to grow by 8.20 percent and 7.80 percent over the same period last year, and the completion of fixed asset investment is expected to increase by 0.10 percent and 0.40 percent over the same period last year. 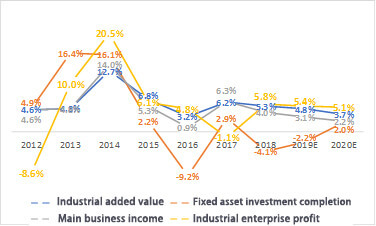 The main business income of industrial enterprises is expected to increase by 5.10% and 3.30% compared with the same period last year, and the profits of industrial enterprises are expected to increase by-3.80% and-9.30% compared with the same period last year. 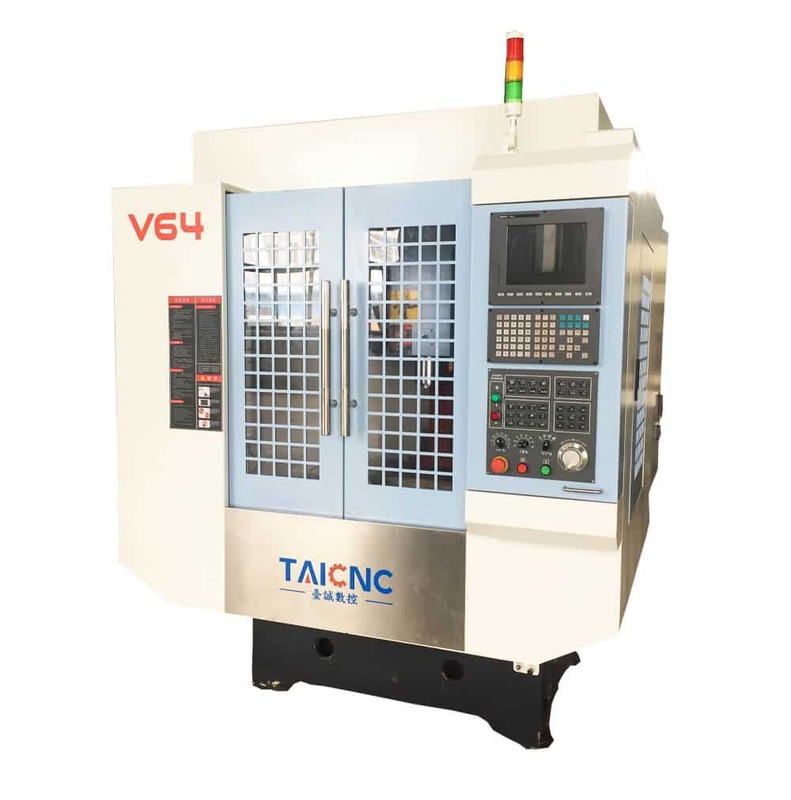 In the electrical machinery industry, the industrial added value in 2019 and 2020 is expected to increase by 7.50 percent and 7.60 percent over the same period last year, and the completion of fixed asset investment is expected to increase by 11.80 percent and 11.10 percent over the same period last year. 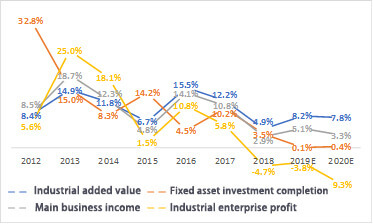 The main business income of industrial enterprises is expected to increase by 6.40% and 6.30% compared with the same period last year, and the profits of industrial enterprises are expected to increase by-0.10% and-3.00% compared with the same period last year. 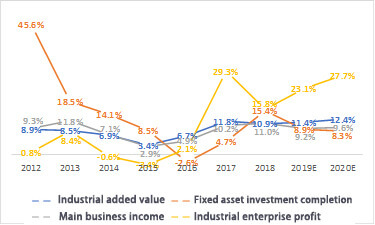 In the electronics industry, industrial added value is expected to grow by 13.00 percent and 13.80 percent in 2019 and 2020 compared with the same period last year, and the completion of fixed asset investment is expected to increase by 19.50 percent and 21.10 percent over the same period last year. 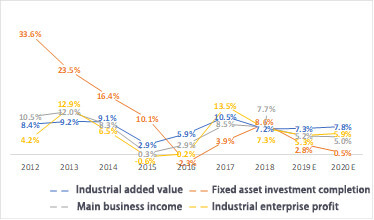 The main business income of industrial enterprises is expected to increase by 10.10% and 10.90% compared with the same period last year, and the profits of industrial enterprises are expected to increase by 6.10% and 3.60% compared with the same period last year. 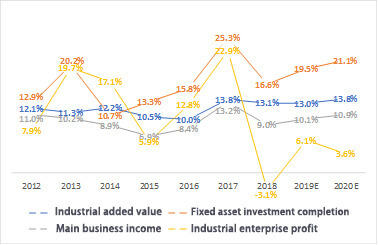 In the instrumentation industry, the industrial added value in 2019 and 2020 is expected to increase by 8.20 percent and 8.20 percent over the same period last year, and the completion of fixed asset investment is expected to increase by 6.10 percent and 8.60 percent over the same period last year. 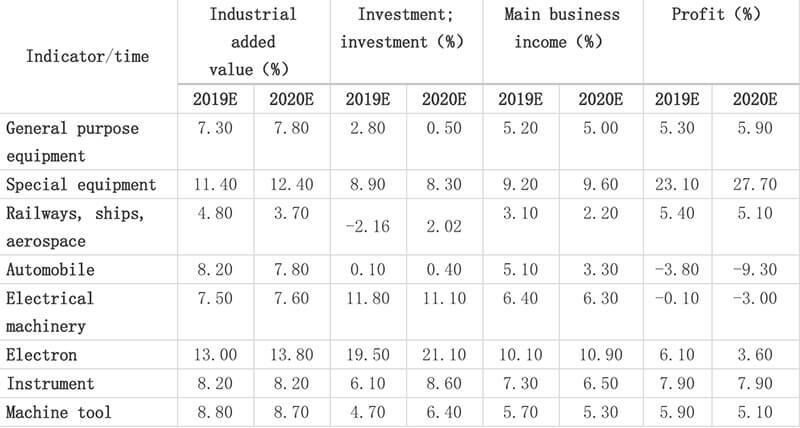 The main business income of industrial enterprises is expected to increase by 7.30% and 6.50% from the same period last year, and the profits of industrial enterprises are expected to increase by 7.90% and 7.90% from the same period last year. 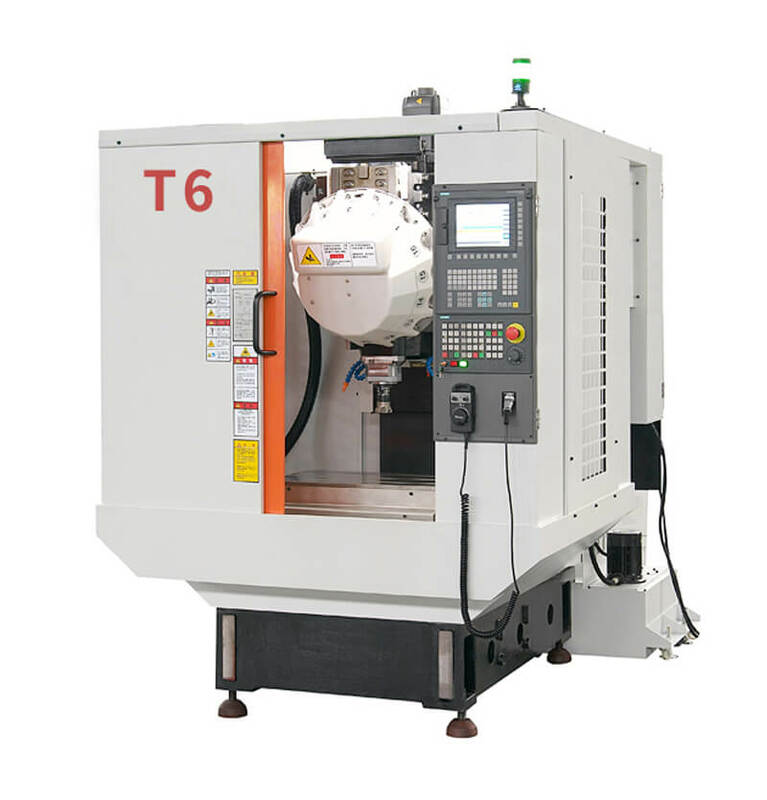 Based on the forecast of the development of the downstream industry of machine tools, it is expected that the downward pressure on the growth of the machine tool industry in 2019 and 2020 will be greater than that in 2018. 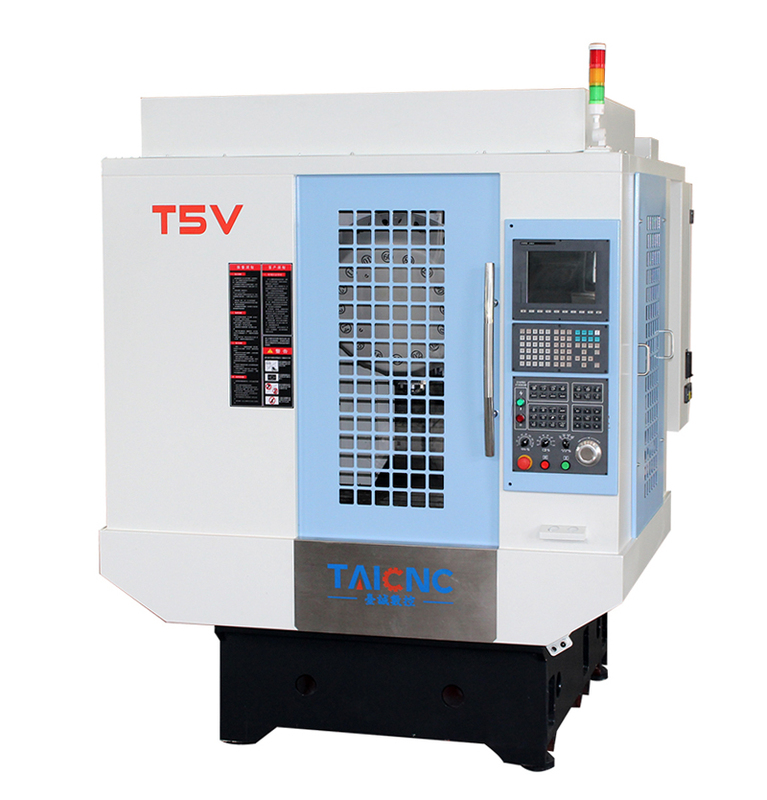 Can I use a 4th axis?